Bogie and Bacall: They were one of Hollywood’s most famous love stories. Filmdom’s most formidable and charismatic tough guy and the sultry femme fatale who taught him to whistle — among other things — burned up the big screen in four films. Off-screen they would spend 12 years together, from 1945 to 1957, as husband and wife. 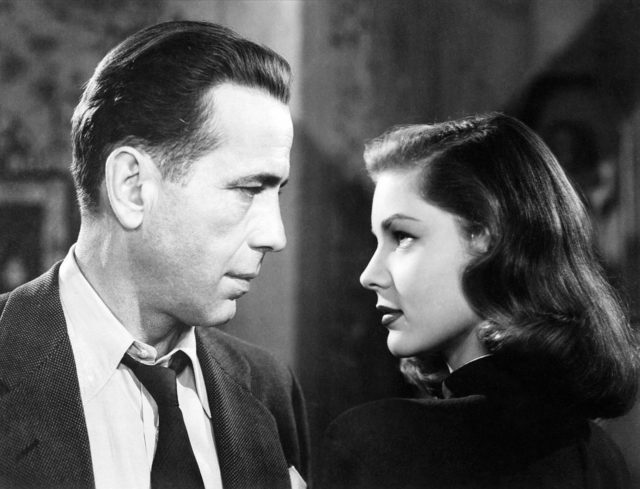 But what many movie-goers may not know is that Bacall wasn’t the only woman in Bogart’s life. Verita Bouvaire Thompson, a vivacious brunette who could out-drink and out-swear the big screen legend, had a 17-year affair with Bogart, which began two years before he met Bacall on the set of 1944’s To Have and Have Not, and continued right up until his end in 1957. Their relationship, one of the best-kept secrets in show business, would finally be exposed in Thompson’s 1982 memoir/tell-all, Bogie and Me: A Love Story. The feisty Thompson, who once dubbed herself “Bacall’s worst nightmare,” was born Verita Bouvaire in Arizona, to an Irish father and Mexican mother. She was first runner-up in the 1935 Miss Arizona Beauty Pageant, and like a lot of pretty girls, high-tailed it to Hollywood, her sights set on becoming a star. She nabbed a contract, but while shooting a Western, she came tumbling off her horse and broke her arm. Perhaps it was fate. Thompson went to Mexico City to mend and crossed paths with a French wig-maker who wanted to work in the U.S. Before you know it, the two decided to team up. Thompson enrolled in beauty school and would go on to become one of the most in-demand hairdressers in Hollywood, working with a slew of actresses, as well as follicly-challenged leading men — among them, Charles Boyer, Ray Milland, and Gary Cooper. Thompson would meet Bogart at a wrap party for Casablanca, held at Warner Bros. studio. Actress Ann Sheridan, a pal, invited Thompson to the bash. 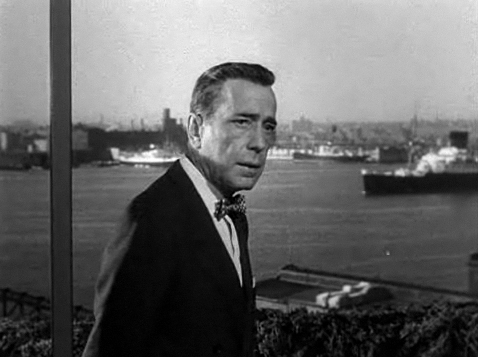 Bogart took one look and was blown away. The seductive Thompson, no shrinking violet, even got the macho actor on the dance floor. “Bogie didn’t like to dance, but, honey, we danced the night away and from that day on we were lovers,” she recalled years later. 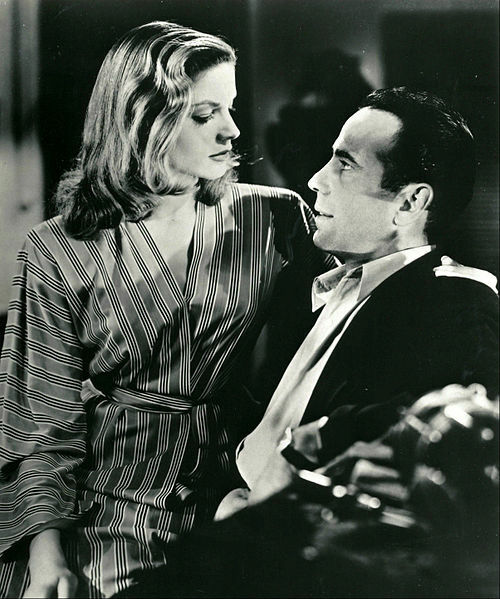 Despite the fact that they were both hitched — Bogart to his third wife, May Methot (a marriage famous for its frequent fighting), and Thompson to film technician Robert Peterson — they embarked on an affair. Both ended up getting divorces from their spouses, but in 1945, Thompson was stunned to learn that less than two weeks after Bogart’s divorce, he tied the knot with his 20-year-old co-star in To Have and Have Not, a former New York model named Lauren “Betty” Bacall. Nonetheless, the clandestine relationship continued. The two knew they had to keep their affair a secret: Even a hint of infidelity could bring a career crashing down in those days. Fortunately, it was an ideal set-up. Thompson had a valid reason for being around the actor — he wore a toupee and she was a wig-maker after all. Thompson would travel with Bogart, carrying a suitcase packed with colorfully-named hairpieces, including the Cocktail Wig and the Shaggy Wig. (She once confessed to sleeping with one of his wigs tucked under her pillow when he was away.) 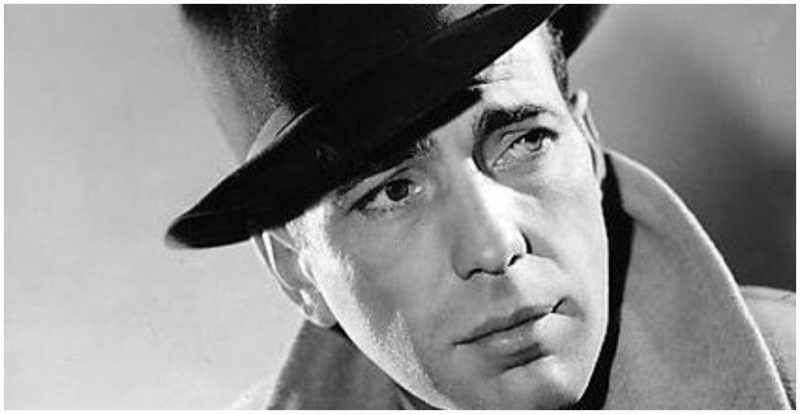 Bogart would even introduce Thompson as his mistress, shrewdly figuring that people would never believe he would admit to such an indiscretion if it were really true. Thompson’s husband died in 1975. She opened a restaurant, Verita’s La Cantina, on Sunset Boulevard. In 1982, she moved to New Orleans and opened a piano bar, Bogie and Me. When Hurricane Katrina was about to hit in 2005, Thompson was urged to vacate the city, but she wouldn’t budge. 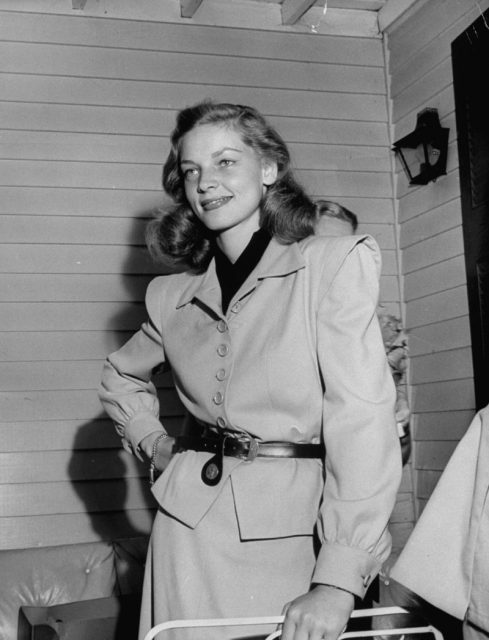 “Lauren Bacall failed to chase me out of Hollywood,” she said. “Katrina won’t force me out of New Orleans.” Three years later, at age 89, Thompson passed away of natural causes. Bogie at last had his favorite drinking buddy back.